Why Won’t a Man Tip a Woman to Tie Down a Tree? 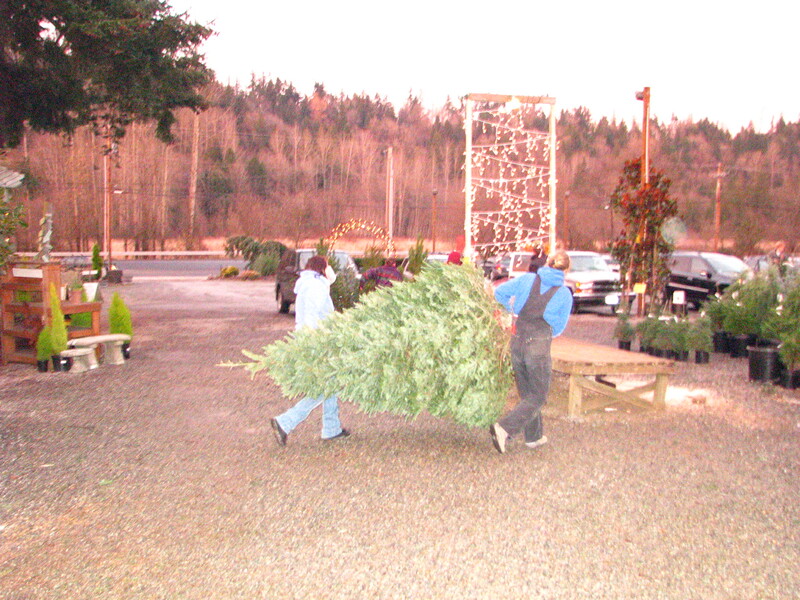 Selling Christmas trees at the nursery is always fun, but lots of work. Lifting, pulling, tying, carrying and loading. We finally hoist that 8-9 foot bad boy up onto the very tall SUV, tie it down and what do we (women) receive? A smile and a thank you and a Merry Christmas as they drive away. The guys that tie down that tree, however, receive all that is mentioned above, as well as a twenty dollar bill. Or a ten, or a five. But in general the men get the tips for this service, while the women do not. What’s up with that? Why won’t a man tip a woman for tying a tree down to his car? We all enjoy our job. We don’t expect tips. We’re happy to help customers and sell trees. A smile and thank you are all we really need. But, when we notice the discrepancy in tipping, it’s annoying. When we see some rewarded, not for service, but for gender, it makes us irritated and mad! One review of tipping I read stated that it’s not about good or bad service, but rather it relieves guilt. People tip because it makes them feel less guilty about being served. Maybe that’s it. What do you think? Why won’t a man tip a woman to tie down a tree??? Thanks for the tip Calvin!!! Previous Previous post: Santa Day!